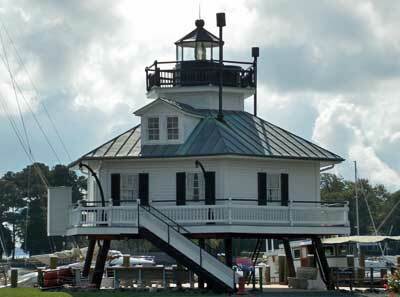 The port of Saint Michaels Maryland is located along the banks of the Miles River. This famous Chesapeake Bay town is known as the “Town that fooled the British.” According to legend, residents who had been warned of an impending British attack hung lanterns in ship masts and tree-tops. The tactic worked and British cannons overshot the town. With its rich nautical history, specialty shops, museums, and thriving art community, the town attracts a steady flow of visitors. Visitors make day excursions or stay at bed and breakfasts and explore the local attractions over several days. Saint Michaels is a popular port of call for sailboaters, cruisers, and other boating enthusiasts. The waterfront and nearby creeks are also popular destinations for kayaking enthusiasts, fishermen and recreational crabbers.